Mercia 6 x 6 Octagonal Summerhouse: The Mercia summerhouse comes in this stunning and practical design that will not take up to much space in your garden. 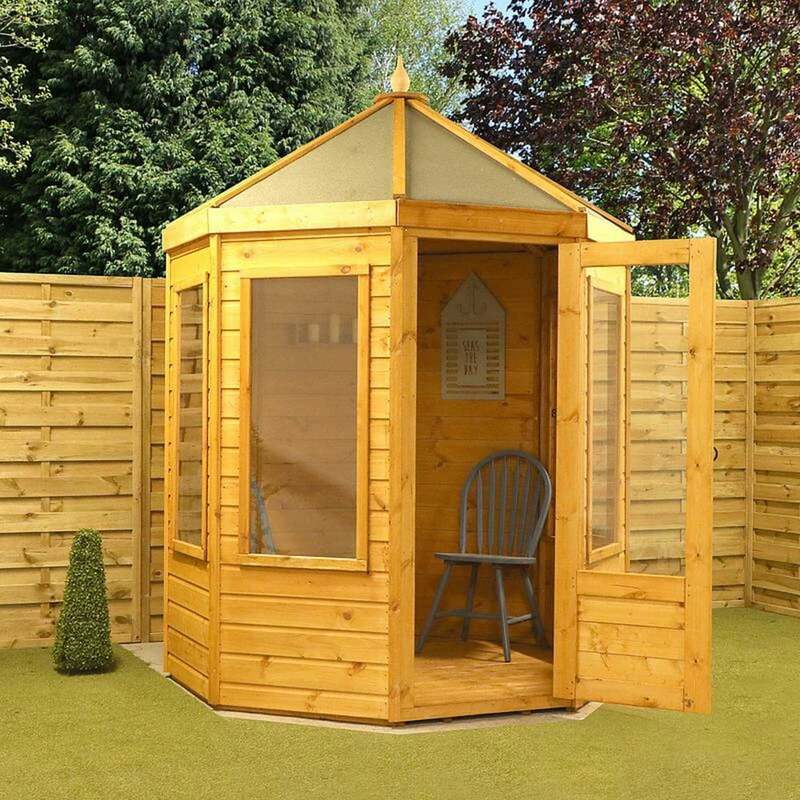 The octagonal Mercia summerhouse is constructed from 12mm tongue and groove cladding for the walls and floor and 9mm plywood for the roof for an overall durable finish. The 6 x 6 summerhouse includes shed felt roofing material to help protect the building against water damage and is supported by a 2’ x 1’ interior framing. The Mercia garden building also includes single door with antique style door handles and hinges for a traditional finish with a lock and key for extra security. Please note: Images are dressed and painted for display purposes only. All listed metric dimensions include the roof overhang.